The book is designed to help readers achieve success in what Friedman describes as the four central domains: work, home, community, and the private self. 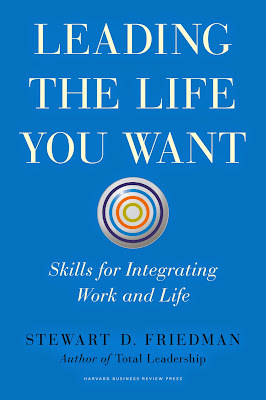 He argues against the metaphor of “work/life balance” and in favor of creating a harmonious intersection of these four elements by applying principles and skills such as focusing on results, building support networks and clarifying expectations. 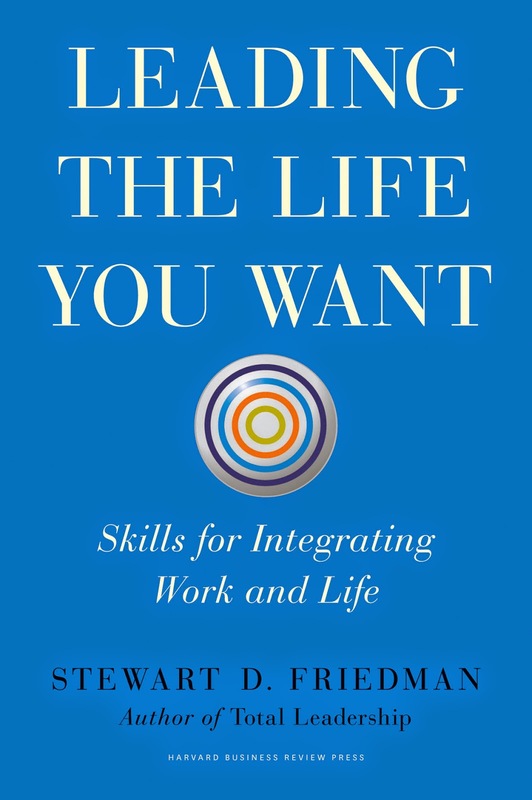 “Leading the Life You Want” is an action-oriented book that encourages the reader to take notes, complete self-assessment tests and skip around from section to section in whatever order works best for the individual. The book is split into two sections. The first offers profiles of individuals who have achieved success and the second goes in-depth on how to implement the specific skills illustrated. If you’re reading the book without an explicit purpose (e.g. improving your prioritization) and looking more for general enlightenment, the six profiles will prove the most engaging. Each profile reads like a mini biography by giving you such precise detail and a concisely structured character arc that you walk away with an efficient understanding of these diverse personalities. The section begins with two tales you might expect, tales of business in the more traditional sense, illustrated by Tom Tierney (Former CEO of Bain & Company) and Sheryl Sandberg (COO of Facebook). It then transitions into individuals you will be more surprised to see in a business text: Eric Greitens (US Navy Seal), Michelle Obama (US First Lady), Julie Foudy (soccer champion-turned-broadcaster) and, of course, Bruce Springsteen. The ‘pick and choose’ approach Friedman recommends benefits the reader. By and large, I didn't relate to the Greitens section but still would have been able to find great value from the book if I had skipped it. However, I could see how a reader with a different background might read just this one section and find the book extremely valuable. So what about the Bruce section? It doesn’t disappoint. Like the other sections, it provides a comprehensive overview of his life and clearly connects his success to the mastery of certain skills such as truly embodying one’s values and practicing self-reflection. Springsteen fans will be familiar with the ground covered here, but may find themselves surprised by the analysis applied. For example, this is the first time I recognized that Bruce’s least prolific years from a music standpoint (late 80s to early 90s) coincide with those crucial early years of forming a family and becoming a parent (his first child was born in 1990). This isn’t presented as a hindrance to his career, but an essential step toward Bruce achieving satisfaction in all four quadrants: work, home, community and the private self. There is a recurring undercurrent throughout the book: nobody’s perfect. And we make it extra hard on ourselves because we live in a society of heightened self-scrutiny. The profiles in the book are just celebratory enough to inspire you and just realistic enough to prevent you from simply envying their success. It’s peculiar to say, but I frequently feel proud of Bruce Springsteen. This is an odd emotion to feel for a rich and famous artist that you’ve never met. But it’s true. I can’t help but feel proud of all that Bruce Springsteen has accomplished, and all that he’s given to this world. In a funny way, seeing Bruce profiled here as the only artist represented (from any medium), my pride feels justified. Whether or not you are a Springsteen fan, this is a useful book to read. The way it’s written makes it a good resource that you can turn to time and again for inspiration when you find yourself stuck. Whatever your profession may be, you’d be well suited to keep a copy of “Leading the Life You Want” on your office desk or your bedside table.